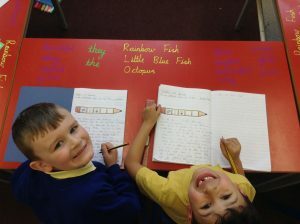 This term our class story in Year 2 is The Rainbow Fish. 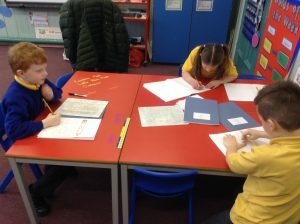 This week we have been learning about story structure and looking at how characters change throughout a story. 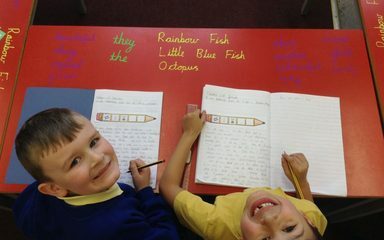 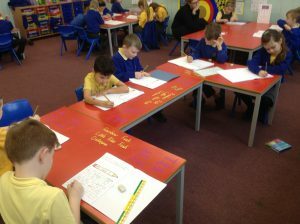 On Friday we all wrote the story of The Rainbow Fish in our own words. 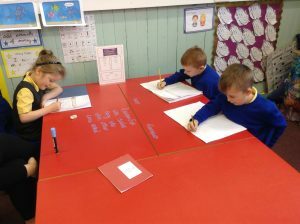 We used the chalk pens to help us remember the spellings of some of the key and tricky words from the story. 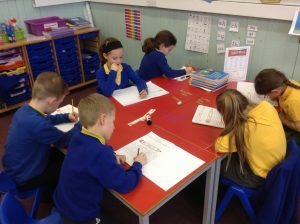 Look at these pictures to see how hard we have been working.